← Cricket and Baseball: Just How Bloody Are They? 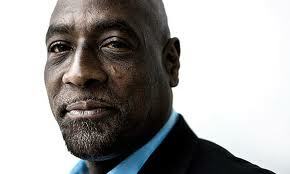 Today’s the 60th birthday of the great West Indian batsman Sir Vivian Richards. Fiercely proud of his heritage, swaggering and nonchalant at the crease, and impossible to stop when in full flow, Richards was probably the most exciting and charismatic batsman of his era (1976 to 1992). Even today—perhaps especially today, he exerts a fascination: the coolest dude in the room. Why especially? Because he evokes an era when the West Indies were simply the best team in the world, as imperious and devastating as Richards was as an individual batsman. These days, the West Indies is a shadow of its former self. Below you can see him in his prime. This entry was posted in Cricket, West Indies and tagged Vivian Richards. Bookmark the permalink.